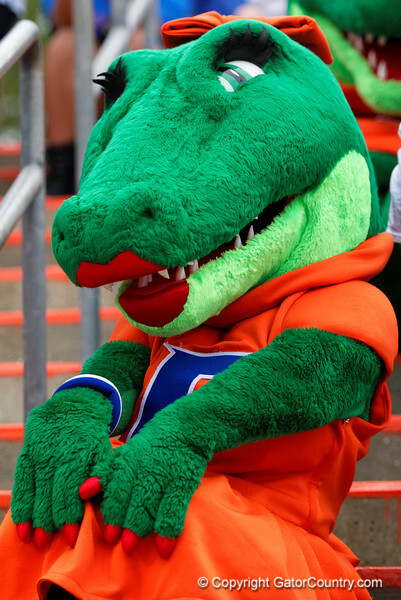 Alberta the mascot poses for a photo as the #1 University of Florida Gators softball team has their game against the Florida State Seminoles called due to rain in the bottom of the ninth tied 0-0 at Katie Seashole Pressly Softball Stadium. April 3rd, 2016. Gator Country photo by David Bowie.